AN EXTENSIVE and richly illustrated report was made after the examination of YK by the project manger Lars Gerdmar and the building expert, Prof. Karl Gunnar Olsson during the end of 2012 and beginning of 2013. It will be fully completed when the results of the laboratory analysis of random samples taken on interior plaster and painted surfaces in the church are finalized, which will be presented in an appendix to this report. Find below the Cover page, Acknowledgement and Table of contents. The full report is available in digital form to all collaborators of SCECH and presumptive financiers on request to the Society (see ”Contact” in the head menu). 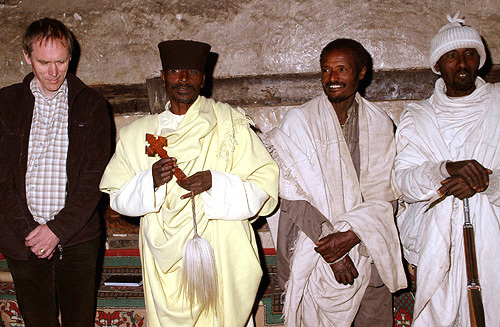 His Holiness, The Late Patriarch of the Ethiopian Tewahedo Orthodox Church, Abune Paulos, The Patriarchate, Addis Ababa, The acting Patriarch, His Grace Abune Nathanael, The Reverend Abba Welde Quirqos and his clergy and the Village Council of Yemrehanne Krestos, The Local Office of Cultural Heritage and the regional Office of ARCCH in Bahir Dar, Mr. Yonas Desta, Director General at Authority for Research and Conservation of Cultural Heritage (ARCCH), executive body of the Ministry of Culture and Tourism, Addis Ababa, Mr. Hailu Zeleke, Head of Department for Conservation and Mr. Tenaw Getahun, Supervisor for Conservation projects, ARCCH, Mr. Tadesse Girmay and Mr. Mengistu Gobezei, contact person for SCECH in Addis respective Yemrehanne Krestos and Mr. Merkeb Merkuria, Curator, IES museum, contacts person with the Church, Mr. Gebriel Woldemariam, helper to SCECH and its Project manager in practical preparations, Mr. Tewodros Hagos, member of the executive committee of the governmental party, Mr. Richard Pankhurst, Professor of History, Founder and First Director of the Institute of Ethiopian Studies (IES) and his wife Rita Pankhurst, Mr. Shiferaw Bekele, Professor of History, Addis Ababa University, Mr. Peder Boellingtoft, Restorer and Head of Department of Monumerntal Art, School of Conservation, RAA, Copenhagen, Mr. Samuel Rubenson, Professor of Church History, Lund University, Sweden and President of SCECH, Lund Mission Society, Sweden. 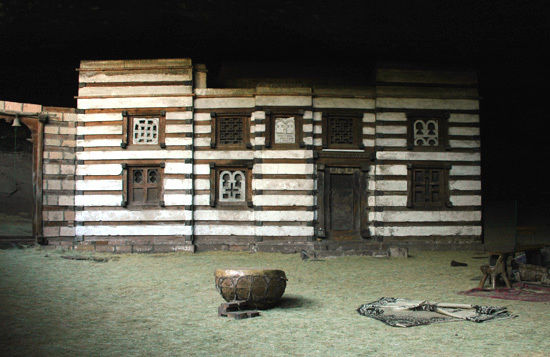 The examination of the church of Yemrehanne Krestos, a gem amongst the medieval Ethiopian churches, and its adjacent royal palace, was the last step in the preparations for Conservation in Ethiopia – a Pilot project. 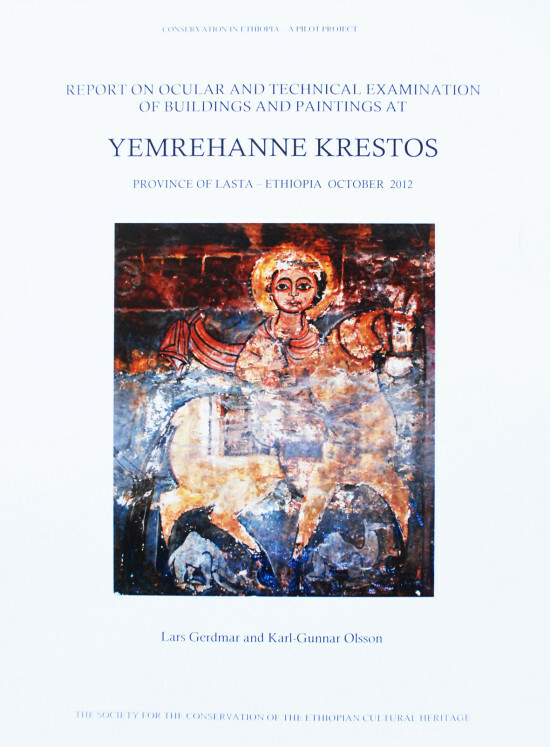 It happened October 13-17 2012 by permissions from the Authority for Research and Conservation of Cultural Heritage (ARCCH), Addis Ababa, and by the community council and the clergy of Yemrehanne Krestos (YK). 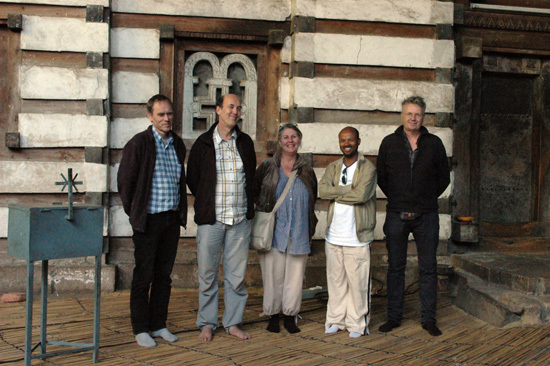 It was conducted by a Scandinavian team including an Ethiopian architect chosen by the Society for the Conservation of the Ethiopian Cultural Heritage (SCECH), based in Sweden and specialized in conservation and engineering. The team consisted of its manager Lars Gerdmar, Icon Painter/Restorer, Independent Scholar on Byzantine and Oriental Christian Art, Carmen Deas, Painting Restorer, specialized in medieval Occidental and Byzantine wall painting, Dr. Karl-Gunnar Olsson, Civil engineer and Building expert, Chalmers University of Technology, Msc Tadesse Girmay, Architect and lecturer at Addis Ababa University and Peder Boellingtoft, Restorer specialized on multi-spectral analysis, Head of Department for Monumental Art, School of Conservation, RDAA. In simpler tasks seven monks and some ordinary villagers assisted, elected by the community and church councils. Please, find links to their professional profiles bottommost on this page. 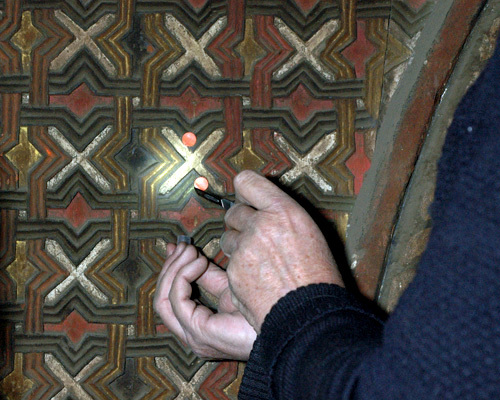 The purpose of this examination was to get the necessary information about the state of the buildings and the paintings of the church in order to implement a pilot project of conservation, i.e. a model for how conservation of ancient Ethiopian art and architecture on a larger scale can be accomplished in the country. 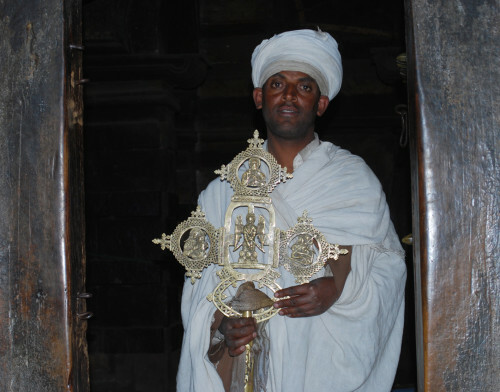 By this project we hope to get international attention to the need of financial aid and education, with a view of taking care of and protect the priceless Ethiopian cultural properties to which this church and palace belongs. The church of YK is situated in the Ethiopian highlands and the province of Lasta some 40 km north of the renowned town Lalibela. 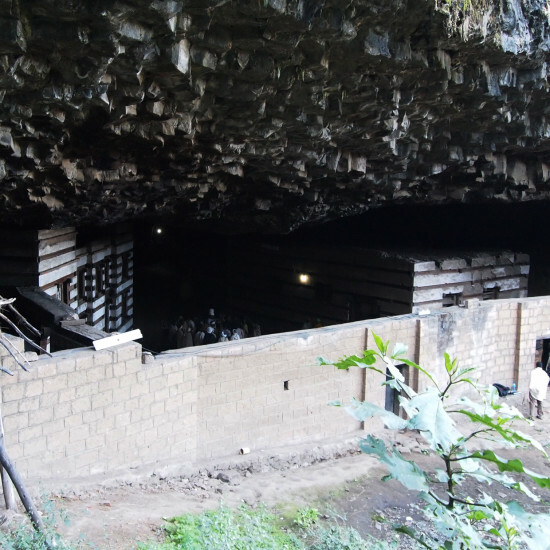 It is considered to be one of the most precious churches in Ethiopia, erected in a huge cave and is said to have been built by king Yemrehanne Krestos. It is preliminary dated to the 12th century and its architectural design strongly reminds of how the buildings looked like in the old Aksumite Kingdom (ca 150 BC – 700 AD). Richly adorned with a colourful ornamental painting, covering big parts of the church, and with the oldest known ex-tant murals in Ethiopia, this church as well as the adjacent royal palace, where the king is suppose to have resided, constitute a priceless cultural heritage. However, these paintings and the palace building are partly in a serious state of decay and in great need of repairs and conservation and careful cleaning in all its parts. These monuments – which people in Ethiopia wants to get regis-tered on the UNESCO World Heritage list – belongs to a great cultural legacy of priceless value, not just for the Ethiopians themselves and their history, but also for the African continent as a whole and the international community. The report begins with brief presentations of the pilot project: idea, aim, background and guide-lines. This is followed by inventories of the buildings: its construction, materials and state, and of the pictorial program of the church, including mentioned murals and ornamental painting that are detailed discussed. The introductory texts, the reporting on paintings and the commentaries to the architecture of the church preceding the building inventory are written by the undersigned, and the suggestions of measures given in the inventory of paintings are done in consultation with my team colleague, the painting restorer Carmen Deas. The parts presenting the examination of the church and of the palace are written by Karl-Gunnar Olsson, with a certain focus on the load carrying structure, one of his specialities as building expert and something that constitutes a key issues concerning stability and instability of buildings and thus also for architectural conservation. As we still wait for the results of the amassment of random samples, a revised report will follow this one later on this year. That one will also be published on the database of SCECH’s website, still under construction, where the digital technique gives space to more detailed photographic presentation. Besides the introductory texts and presented inventories as such, an important aim of this report has also been to give the reader an opportunity to meet the beauty of the art and architecture that belongs to YK. Thus large space has been given to photographs and architectural drawings and brief commentaries to these. After the reporting a statement follows regarding prerequisites and conditions for implementation of this project, as well as presentations of our society, collaborators and professional profiles of board members. 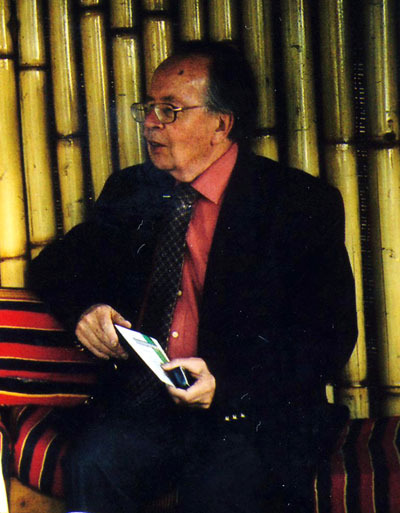 Here you also find our charter and a Letter of Recommendation by Professor Richard Pankhurst, the grand Old man of Ethiopian humanities. Many thanks to Lund Mission Society that ever since 2005 have supported us and now again with generous funds to this examination, as well as to above-mentioned Mr. Peder Boellingtoft and his Dep. for Monumental Art at the School of Conservation, Copenhagen, for advise and his amass- ment of random samples and the soon coming evaluation of laboratory analysis still in progress. Secondly our gratitude holds for the colleagues in Addis Ababa, i.e. Professor Richard Pankhurst and his wife Rita, Institute of Ethiopian Studies (IES), Professor Shiferaw Bekele, Department of History, Addis Ababa University and Director General Yonas Desta and his staff at ARCCH, the national body in charge of the cultural heritage of the country. 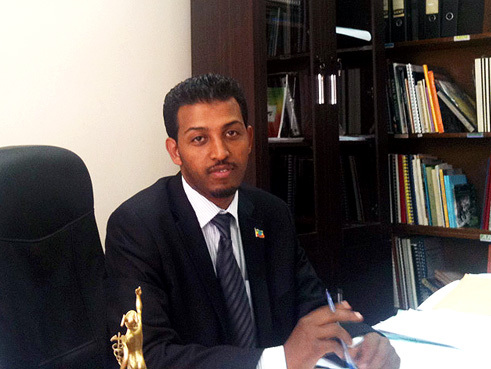 For practical assistance in all kinds of things and with networking in the capital and in Lalibela many thanks goes to Mr. Gebriel Woldemariam and Mr. Tadesse Girmay. As for Yemrehanne Krestos, Lalibela and the province a thousand thanks to the monks and especially to the Abbot, the Reverend Abba Welde Qirqos, the villagers and the administrator of the local community, to Mr. Mengistu Gobezei, deriving from Yemrehanne Krestos, for preparations at spot and for his contribution as contact person during these days, to the head of the local cultural heritage office in Lalibela and to the ARCCH’s supervisor Mr. Tenaw Getahun and to the representative from the ARCCH’s office of cultural heritage in the region of Amhara, Bahir Dar and many others, all and everyone included, who supported and assisted us and made these days so great and memorable – the continuous discussions about conservation and heritage management with you was for us most rewarding. The same gratitude is now also extended to Mr. Merkeb Merkuria, Curator at the IES Museum and former secretary to His Holiness, the late Patriarch Abune Paulus, for assistance in our contacts with the Church, and last but not least our humble thanks to the acting Patriarch, His Grace Abune Nathanael, for a rewarding meeting at the Patriarchate in Addis Ababa.